I was invited to the University of the Western Cape (South Africa) to teach linguistic fieldwork and documentation at the week-long SEcoKa Autumn School. SEcoKa (The Syntactic Ecology of Kaaps) is a three-year NRF-funded project which investigates the grammar of Kaaps as a hybrid system. More info here. ​I conducted a pilot study on the use of the German language in South Africa and visited several rural German-speaking communities in three South African provinces. I was invited to attend the closing workshop of the Crossroads project at SOAS University of London. More info here. 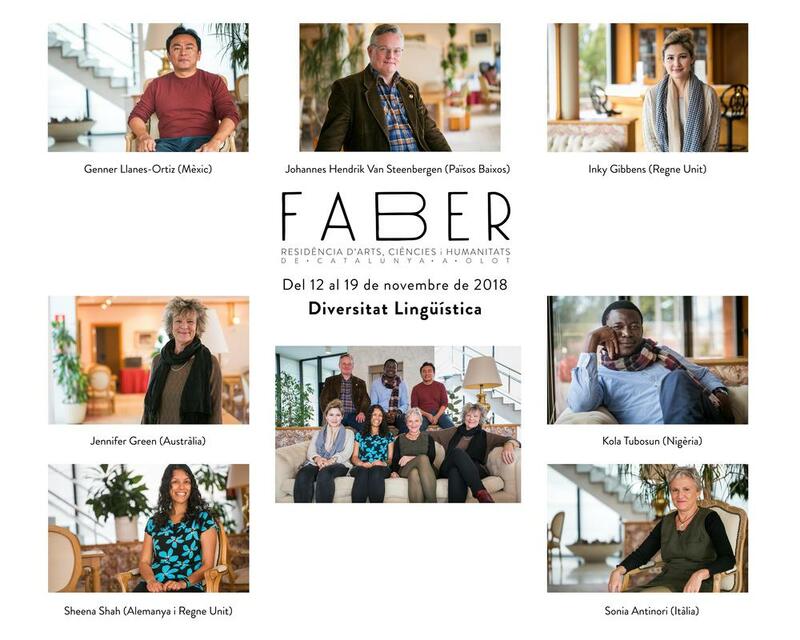 I was invited to participate in the Linguistic Diversity Residency Programme and Workshop, hosted by Linguapax and Faber Residency of Arts, Sciences and Humanities in Olot and Barcelona, Spain, from 12-21 November 2018. More info here (residency in Olot) and here (workshop in Barcelona). Hot off the press: Shah, Sheena & Matthias Brenzinger (2018). The role of teaching in language revival and revitalization movements. Annual Review of Applied Linguistics 38, 201-208. Based on the 2017 Impact Factor, the Annual Review of Applied Linguistics (ARAL) has risen to be #1 of 181 Linguistics journals! Congratulations to editor-in-chief, Alison Mackey, each of us serving on the editorial board, our contributors and many others working behind the scene! I was invited to attend an Uncanny Lore Workshop entitled “From resistance to re-existence – Legal empowerment, reclaiming heritage, ancestral land and justice in Southern Africa” in the Eastern Cape province, South Africa, from 19-24 June 2018. More info here. I have been awarded a Research Fellowship from the Alexander von Humboldt Foundation. A 24-month long fellowship, starting September 2018, to conduct research at the University of Hamburg on the siPhûthî language spoken in Lesotho. Our edited book has just been published: Seals, Corinne A. & Sheena Shah (eds.) (2017). 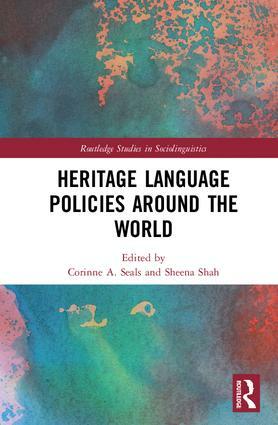 Heritage Language Policies around the ​World. Abingdon & New York: Routledge. More info here.